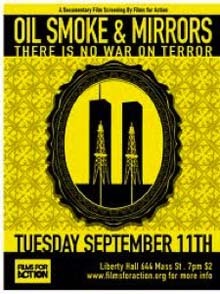 September 11th: Inside Job or Mossad Job? While Israel’s role in the destabilization of the world post-September 11 is becoming increasingly clear, the idea that a faction of Likudniks, aided by their allies embedded in the U.S. State apparatus, are responsible for the false flag operation of September 11 is becoming more difficult to suppress, and some individuals have the courage to state so publicly. Francesco Cossiga, President of Italy between 1985 and 1992, declared on 30 November 2007 to the daily Corriere della Sera: “From areas around the Palazzo Chigi, nerve centre of direction of Italian intelligence, it is noted that the non-authenticity of the video is supported by the fact that Osama bin Laden in it ’confessed’ that Al Qaeda was responsible for the 9/11 attack on the Twin Towers in New York. However, all of the democratic areas of America and of Europe, with the Italian center-left in the forefront, now know full well that the disastrous attack was planned and executed by the American CIA and Mossad with the help of the Zionist world to falsely incriminate Arabic countries and to persuade the Western Powers to intervene in Iraq and Afghanistan .” Alan Sabrosky, former professor at the U.S. Army War College and the U.S. Military Academy, did not hesitate to proclaim his belief that September 11 is a “classical operation orchestrated by Mossad” carried out with accomplices within the United States government, and his voice has been forcefully echoed by some U.S. Army veterans sites who are disgusted by the vile war that they were forced to wage on behalf of the September 11 lie or that of the weapons of mass destruction of Saddam Hussein . 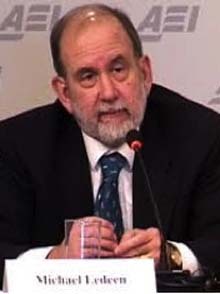 The arguments in favor of the Mossad hypothesis are not only related to the reputation of the world’s most powerful secret service, which a report by the U.S. Army School for Advanced Military Studies (quoted by the Washington Times on the eve of September 11th), described as “wildcat, ruthless and cunning. Able to carry out an attack on U.S. forces and disguise it as an act committed by Palestinians/Arabs .” The Mossad involvement, together with other Israeli elite units, is made evident by a number of little known facts. The eBook by Hicham Hamza, “Israel and September 11: The Great Taboo” (2013) brings together the case against Israel, with impeccable precision and all easily accessible sources. How many of us know, for example, that the only people arrested on the same day in connection with the terrorist attacks of September 11 are Israelis ? This information was reported the very next day by journalist Paulo Lima in The Record, the newspaper of Bergen County in New Jersey, according to police sources. Immediately after the first impact on the North Tower, three individuals were seen by several witnesses on the roof of a van parked at Liberty State Park in Jersey City, “celebrating” and “jumping up and down,” and photographing themselves with the twin towers in the background. They then moved their van to another parking spot in Jersey City, where other witnesses saw them display the same ostentatious celebrations. The police immediately issued a BOLO alert (be-on-the-look-out): “Vehicle possibly related to the terrorist attack in New York. 2000 white Chevrolet van with New Jersey plates and an ’Urban Moving Systems’ sign at the back, was seen at Liberty State Park, Jersey City, NJ, at the time of first impact of jetliner into the World Trade Center. Three individuals with the van were seen celebrating after the initial impact and the explosion that followed .” The van was stopped by police a few hours later, with five young Israelis aboard: Sivan and Paul Kurzberg, Yaron Shmuel, Oded Ellner and Omer Marmari. Physically forced out of the vehicle and pinned to the ground, the driver, Sivan Kurzberg, launched this strange sentence: “We are Israelis. We are not your problem. Your problems are our problems. The Palestinians are the problem .” Police sources who informed Paulo Lima were convinced of the involvement of the Israelis in the morning’s attacks: “There were maps of the city in the van with some of the points highlighted. It looked like they knew […] they knew what would happen when they were at Liberty State Park . Passports of various nationalities, nearly 6000 dollars in cash and open airline tickets to travel abroad were also found on them. The Kurzberg brothers were formally identified as Mossad agents. The five Israelis worked officially for a moving company named Urban Moving Systems, whose employees were mostly Israelis. “I was in tears. These guys were joking and that bothered me ,” stated one of the few non-Israeli workers to The Record. On September14, after receiving a visit from the police, the business owner, Dominik Otto Suter, left the country for Tel Aviv. The information disclosed by The Record, confirmed by the police report, was taken on by investigative sites such as the Wayne Madsen Report (September 14, 2005) and Counterpunch (February 7, 2007). It was also reported in some main media as well but in a way that minimized its scope: the New York Times (November 21, 2001) failed to mention the nationality of the individuals, just like Fox News and the Associated Press. The Washington Post (November 23, 2001) said they were Israelis, but passed over in silence their apparent foreknowledge of the event. However, The Forward (March 15, 2002), a magazine of the New York Jewish community, revealed that, according to an anonymous U.S. intelligence source, Urban Moving Systems was a Mossad undercover unit (which did not prevent it from receiving a federal loan of 498,750 dollars, as shown by the tax records)] . As Hamza notes, the report’s conclusion is thought provoking: the FBI informs the local police detaining the suspects that, “the FBI has no further interest in investigating the prisoners and ’appropriate immigration procedures should be initiated .” A letter from the federal Immigration and Naturalization Service in fact shows that the FBI management recommended the termination of the investigation on September 24, 2001. However, the five Israelis spent 71 days in prison in Brooklyn, during which they refused, then failed several lie detector tests. They were subsequently repatriated under the simple charges of visa violations. We must finally mention an important detail of this affair, which may provide an additional explanation for the exuberant behavior of these young Israelis: some witnesses specify in their calls to the police, that people rejoicing on the roof of their van seemed to be “Arabs” or “Palestinians“. In particular, shortly after the collapse of the towers, an anonymous call to police in Jersey City, reported on the same day by NBC News, described “a white van with two or three guys on the inside, they look like Palestinians and they are circling around a building“, one of them “is mixing things and he has a ’sheikh’s outfit on. […] He is dressed like an Arab .” All indications are that these individuals were precisely the five Israelis arrested later. Two hypotheses come to mind: either our false movers are actually engaged in a staged action to appear as Arabs/Palestinians, or the witness or witnesses who described them as such were accomplices. As in the other case, it is clear that their goal was to initiate media rumors that Muslims had been spotted rejoicing not only for the attacks, but also for having foreknowledge. The information was actually broadcast on some radio stations at noon, and on NBC News in the afternoon. I personally lean toward the second hypothesis (informants as accomplices rather than true Arabs in disguise) because the police report makes no mention of any exotic clothing found in the van, but especially because the informant cited above, who emphasized the clothing details, seems to have wanted to mislead the police about the exact location of the van; the latter was intercepted only because the police, instead of being satisfied with just this location, blocked all bridges and underground tunnels between New Jersey and New York. But the important thing is this: If the Israelis had not been arraigned in the late afternoon, the story probably would have made headlines with the title: The Dancing Arabs. Instead, it was completely suppressed and was circulated only confidentially under the title The dancing Dancing Israelis, or The Highfivers. 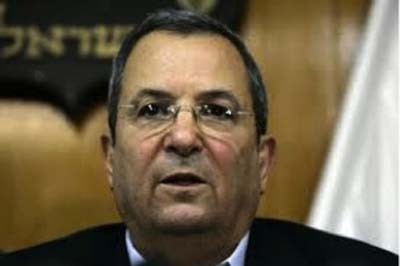 Ehud Barak, former head of Israeli military intelligence (Sayeret Matkal), was Prime Minister from July 1999 to March 2001. Replaced by Ariel Sharon, he moved to the United States as a consultant for Electronic Data Systems and SCP Partners, a Mossad screen company specializing in security issues which, with its partners Metallurg Holdings and Advanced Metallurgical, had the ability to produce nano-thermite. SCP Partners had an office within ten kilometers of Urban Moving Systems. An hour after the disintegration of the towers, Ehud Barak is on the set of BBC World to describe bin Laden as the prime suspect (Bollyn, Solving 9-11, p. 278-280). Then in the summer, the Drug Enforcement Agency (DEA), after being targeted by a large number of such incidents, compiled a report which was revealed to the public by the Washington Post on November 23, 2001, and in The World on March 14, 2002, before being made fully accessible by the French magazine Intelligence Online. This report lists 140 Israelis arrested since March 2001. Aged between 20 and 30 years and organized into teams of 4 to 8 members, they visited at least “36 sensitive sites in the Department of Defense.” Many of them were identified as members of the Mossad and Aman (Israeli military intelligence), and six were in possession of phones paid for by a former Israeli vice consul. Sixty arrests occurred after September 11, bringing to 200 the number of Israeli spies arrested. All were eventually released. 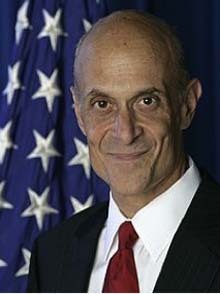 Michael Chertoff, an Israeli citizen, the son of an Orthodox rabbi and a pioneer of the Mossad, headed the Criminal Division of the Department of Justice in 2001, and as such was responsible for the retention and destruction of all evidence regarding the 11th of September – from Pentagon cameras to World Trade Center beams. It is to him also that the “dancing Israelis” owe their discreet repatriation. In 2003, he was appointed to head the new Department of Homeland Security in charge of counter-terrorism on U.S. territory, which allows him to control dissent while continuing to restrict access to the file of Sept. 11 through the law of Sensitive Security Information. The DEA report concluded that “the nature of the behavior of these individuals […] leads us to believe that the incidents are perhaps intelligence gathering .” But the nature of the information collected remains unknown. It may be that in fact espionage was just a secondary cover—an undergarment—of these Israeli art students, considering the military training received by some as demolition explosive ordnance expert, combat engineer, bomb disposal expert, electronic signal intercept operator, according to the DEA. 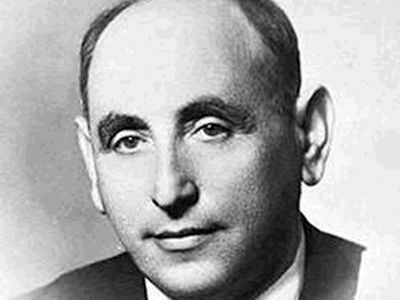 One of the arrested agents, Peer Segalovitz, “acknowledged that he was capable of making buildings, bridges and cars explode, and anything he wanted .” Why would these Israeli agents have diverted attention from their real mission in a campaign of espionage as ostentatious as unproductive curiously focusing on the Drug Enforcement Agency? The answer to this question is suggested by a disturbing geographical link between this network and the attacks of September 11. According to the DEA report, “The Hollywood community in Florida seems to have been the focal point of these individuals .” In fact, more than thirty of the fake Israeli student spies arrested shortly before September 11 lived in or near the city of Hollywood, Florida, precisely where 15 of the 19 alleged Islamist hijackers had regrouped (9 in Hollywood proper and 6 others nearby). One of them, Hanan Serfaty, through whom at least one hundred thousand dollars transited in three months, had rented two Hollywood apartments close to the apartment and post office box rented by Mohamed Atta, who was presented to us as the leader of the gang of hijackers. What was the relationship between the “Israeli spies” and the “Islamic terrorists?” According to the embarrassed explanation by the aligned media, the former were just monitoring the latter. Listen for example to David Pujadas introducing the Intelligence Online article televised March 5, 2002 on France 2: “More about Israel, but specifically concerning Afghanistan now, this espionage affaire is troubling: an Israeli network was dismantled in the United States, particularly in Florida: one of its missions was to track the men of Al-Qaeda (this was before September 11). Some sources go even further: they indicate that the Mossad may not have shared all the information in its possession.” This euphemistic explanation is an example of damage control. Israel appears barely tainted, since we can not reasonably blame a spy service for not shariong information. At worst, Israel can be accused of having “let it happen“, which guarantees impunity. This explains, in my opinion, the sub-secondary cover of the spies-as-fake-Israeli-students, actually experts at false flag attacks. In fact, the students’ deliberately frail cover was made to draw attention to their secondary cover, that of spies, which would serve as an alibi for their proximity to the alleged pirates. Why does Pujadas (propelled to France 2 television news just a week before September 11) mention Afghanistan, which has nothing to do with the information being introduced? 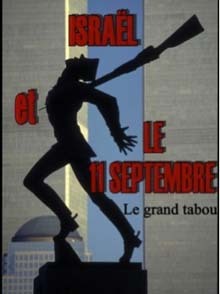 The slip can only be deliberate and illustrates “the great taboo” which Hicham Hamza alludes to: never mention September 11 and Israel in the same sentence. The truth is that they were probably not spying on the pirates, but that they manipulated them, financed them, and probably likely eliminated them shortly before September 11. An article in the New York Times of February 18, 2009 established that Ali al-Jarrah, cousin of a suspected Flight 93 pirate, Ziad al-Jarrah, had been a spy for the Mossad for 25 years, infiltrating the Palestinian resistance and Hezbollah in 1983. He is currently in prison in Lebanon. Let’s also recall that the Mohamed Atta in Florida was a fake. The real Mohamed Atta, who called his father after the attacks (as last confirmed by the German magazine Bild am Sonntag in late 2002), is described by his family as reserved, pious, avoiding women and having a fear of planes. He had his passport stolen in 1999 while studying architecture in Hamburg. The false Mohamed Atta in Florida was living with a stripper, ate pork, loved fast cars, casinos and cocaine. As reported by the South Florida Sun-Sentinel on September 16, “The suspects’ actions do not add up.” As also reported by many national newspapers, this Atta got drunk, drugged and paid for the services of several prostitutes in the weeks and days before the September 11 attacks, and four other suicide bombers had similar behavior incompatible with Islamists preparing for death . According to the renegade agent, Victor Ostrovsky (By Way of Deception, 1990), the Mossad draws its effectiveness from its international network of sayanim (“collaborators”), the Hebrew term designating Jews living outside Israel and ready to perform illegal actions on demand, without necessarily knowing their ultimate purpose. They number in the thousands in the United States, particularly in New York, where the U.S. Jewish community is concentrated. Larry Silverstein, the leaseholder of the Twin Towers as of April 2001, appears as the archetype of a September 11 sayan. He is a leading member of the United Jewish Appeal/Federation of Jewish Philanthropies of New York, the largest U.S. fund raiser for Israel (after the U.S. government, which pays annually three billion in aid to Israel). Silverstein was also at the time of the attacks, the intimate friend of Ariel Sharon and Benjamin Netanyahu, with whom he was in conversation every Sunday, according to the Israeli newspaper Haaretz. Silverstein’s partner for the mall basement in the lease of the WTC was Frank Lowy, another Zionist “philanthropist” close to Ehud Barak and Ehud Olmert, former member of the Haganah. The head of the New York Port Authority, which privatized the WTC, granting the lease to Silverstein and Lowy was Lewis Eisenberg, also a member of the United Jewish Appeal Federation and former vice president of AIPAC. Silverstein, Lowy and Eisenberg were undoubtedly three key men in the planning of the attacks against the Twin Towers. Lucky Larry! Every morning, without exception, Larry Silverstein took his breakfast at Windows on the World atop the north tower of the WTC. Until the morning of September 11, when he had an appointment with a dermatologist. Other members of the New York-based network can be identified. According to the NIST report, the Boeing that crashed into the North Tower “cut a gash that was over half the width of the building and extended from the 93rd floor to the 99th floor. All but the lowest of these floors were occupied by Marsh & McLennan, a worldwide insurance company, which also occupied the 100th floor .” The CEO of Marsh & McLennan was then Jeffrey Greenberg, a member of a wealthy Jewish family that contributed heavily to the campaign of George W. Bush. Greenberg was also the insurer of the twin towers and on July 24, 2001, they had taken the precaution of reinsuring their contracts with competitors who had to indemnify Silverstein and Lowy. And as the world of the neocons is small, in November 2000, the Board of Directors of Marsh & McLennan welcomed Paul Bremer, President of the National Commission on Terrorism at the time of the attacks, and appointed as the head of the Coalition Provisional Authority (CPA) in 2003. Paul Bremer appeared on September 11, 2001 on the set of NBC, calm and relaxed, while 400 employees of his company are missing (in the end, 295 employees and more than 60 of the group’s associates were to be officially counted among the victims). Complicity must also be sought in airports and airlines involved in the attacks. 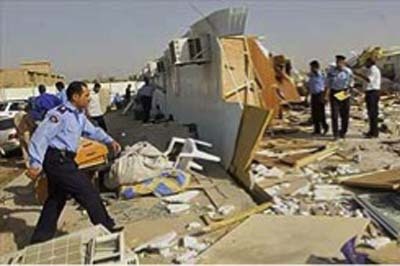 Both airports from which flights AA11, UA175 and UA93 took off (Logan Airport in Boston and Newark Airport near New York) subcontracted their security to International Consultants on Targeted Security (ICTS), a firm financed through Israel and headed by Menachem Atzmon, a treasurer of the Likud. A thorough investigation would certainly lead to other accomplices. Such an investigation should, for example, focus on Zim Israel Navigational, a giant maritime shipping outfit 48% held by the Jewish state (known to occasionally be used as a cover for the Israeli secret service), the US head of which left his offices at WTC with his 200 employees Sept. 4, 2001, one week before the attacks – “Like an act of God  – commented the CEO Shaul Cohen-Mintz. In asserting further that the Saudi track was stifled because of the friendship between the Bush and Saudi families, Graham and his friends use neoconservative George W. Bush as a fuse or lightning rod. The strategy paid off since the 9/11 Truth movement as a whole barks against him and balks at pronouncing the name of Israel. One can recognize the art of Machiavelli: have the dirty work done by another, and then lead the mob against him. The day when, under pressure from public opinion, the mainstream media will be forced to abandon the official theory, the protest movement will have been thoroughly infiltrated and the “9/11 is an inside job” slogan will have prepared public sentiment for an outcry against Bush, Cheney and others, while neoconservatives remain immune from justice. And if, by misfortune, the day of the great unravelling, media zionists fail to keep Israel beyond the reach of justice, the Jewish state can always play the Chomsky card: America made me do it. Noam Chomsky , who camps on the far left since the Trotskyist Irving Kristol veered to the extreme right to form the neoconservative movement, continues in effect to relentlessly push the hackneyed argument that Israel is merely carrying out the will of the United States, as its de facto 51st state and the policeman in the Middle East. “I personally believe that there is a deep connection between the events of September 11 and peak oil, but it’s not something I can prove,” states Richard Heinberg, expert on energy depletion, in the documentary “Oil, Smoke and Mirrors”. Might as well say that the thesis arises from irrational faith. To this we must respond in unison with James Petras (Zionism, Militarism and the Decline of U.S. Power), Stephen Sniegoski (The Transparent Cabal) and Jonathan Cook (Israel and the Clash of Civilizations): “Not only did Big Oil not encourage the invasion, it did not even manage to control a single oil well, despite the presence of 160,000 U.S. troops, 127,000 mercenaries paid by the Pentagon and the State Department, and a corrupt puppet government .” No, the oil does not explain the war in Iraq, nor does it explain the war in Afghanistan, nor does it explain the assault on Syria by surrogate mercenaries, no more than it explains the planned war against Iran. And it is certainly not the oil lobby that has the power to impose the “great taboo” over the entire media sphere (from Marianne to Echoes, in the case of France). A reminder is needed here to better situate September 11 in history. Americans have a long history of manufacturing false pretenses for war. We could go back to 1845 with the expansionist war against Mexico, triggered by U.S. provocations on the disputed area on the border with Texas (the Nueces River in Mexico, the Rio Grande for Texans) until clashes offered President James Polk (a Texan) the opportunity to declare that the Mexicans “spilled American blood on American soil.” After the war, a member by the name of Abraham Lincoln had Congress admit the falsity of the casus belli. 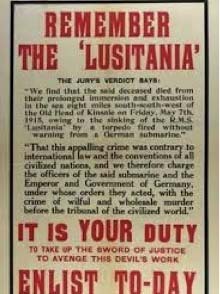 Thereafter, all the wars waged by the United States have been under false pretenses: the explosion of the USS Maine for the war against Spain in Cuba, the sinking of the Lusitania for entry into the First World War World, Pearl Harbor for the second, and the Gulf of Tonkin for the burning down of North Vietnam. However, only the explosion of the USS Maine, which caused few deaths, falls into the category of a false flag ploy; although it is still not completely clear. However, it is a fact that Israel has a heavy past and great expertise in false flag attacks. A world history of this strategy would probably have to devote half of its pages to Israel, though it is the youngest of modern nations. The mould was cast even before the creation of Israel, with the bombing of King David Hotel, the headquarters of the British authorities in Jerusalem. On the morning of July 22, 1946, six terrorists of Irgun (the terrorist militia commanded by Menachem Begin, the future Prime Minister) dressed as Arabs entered and deposited 225 kg of TNT hidden in milk cans around the central pillar of the building, while others planted explosives along the access roads to the hotel to prevent the arrival of first responders. When a British officer became suspicious, a gunfight broke out in the hotel and members of the commando fled after detonating the devices. The explosion killed 91 people, mostly British, but also 15 Jews. In 1986, the Mossad tried to make believe that a series of terrorist orders were transmitted from Libya to various Libyan embassies around the world. According to former agent Victor Ostrovsky (By Way of Deception, 1990), the Mossad used a special communication system, labeled “Trojan Horse,” established by commandos inside enemy territory. The system acts as a relay station for false transmissions sent from an Israeli ship and immediately reissued on a frequency used by the Libyan state. As the Mossad had hoped, the NSA caught and deciphered the transmissions, which were interpreted as evidence that the Libyans supported terrorism, reports that Mossad came opportunely to confirm. Israel relied on Reagan’s promise of retaliation against any country caught in the act of supporting terrorism. The Americans fell into the trap and dragged with them the British and the Germans: April 14, 1986, one hundred and sixty U.S. aircraft dropped over sixty tons of bombs on Libya, targeting mainly airports and military bases. Among the civilian casualties on the Libyan side was Gaddafi’s adopted daughter, aged four. The strike torpedoed a deal for the release of US hostages held in Lebanon, allowing Hezbollah to continue as public enemy number one in the eyes of the West. Isser Harel, founder of the Israeli secret service, would have predicted to the Christian Zionist Michael Evans in 1980 that Islamic terrorism would eventually hit the USA. “In Islamic theology, the phallic symbol is very important. Your biggest phallic symbol is New York City and its tallest building will be the phallic symbol they will hit. “In reporting this exchange in a 2004 interview, Evans, author of “The American Prophecies, Terrorism and Mid-East Conflict Reveal a Nation’s Destiny”, hopes to elevate Harel to prophet. Rational minds will see the indication rather that September 11 matured for 30 years in the deep state of Israel. In January 1987, the Palestinian Ismail Sowan, a Mossad mole who infiltrated the PLO in London, is given two suitcases packed with weapons and explosives by an unknown person supposedly sent by his PLO chief. Ismail reveals this to his Mossad contacts, who send him on a trip to Tel Aviv, then denounce him to Scotland Yard as a suspect in an Islamist attack in London. Ismail is picked up on his return to Heathrow Airport and charged on the basis of weapons found at his home. Result: the Mossad gains the favors of the Thatcher government . After the February 26, 1993, attack against the WTC, the FBI arrested the Palestinian Ahmed Ajaj and identified him as a terrorist linked to Hamas, but the Israeli newspaper Kol Ha’ir showed that qu’Ajaj had never been involved with Hamas or the PLO. According to journalist Robert Friedman, author of an article in The Village Voice, August 3, 1993, Ajaj was actually a petty crook arrested in 1988 for forging dollars, sentenced to two and a half years in prison and released after a year following a deal with the Mossad, for whom he had infiltrated Palestinian groups. Upon his release, Ajaj undergoes a classic sheep-dipping by being briefly imprisoned again, this time for trying to smuggle weapons for Fatah in the West Bank. We have therefore, with the bombing of the WTC in 1993 a prototype for September 11, in which are demonstrated Israel’s responsibility for terrorism and its willingness to have Palestinians accused. 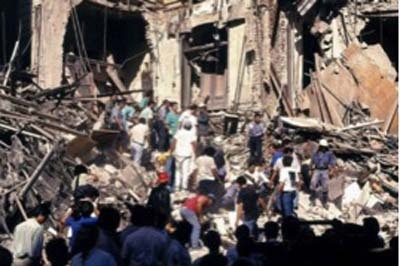 The attack against the Israeli embassy in Buenos Aires in 1992, which caused 29 dead and 242 wounded, was instantly blamed on Hezbollah suicide bombers who used a truck bomb. But the judge in charge of the investigation revealed pressures from the US and Israeli delegates and manipulation of evidence and false testimony to lean the investigation toward the theory of a truck bomb, while facts indicated that the explosion came from inside the building. When the Argentine Supreme Court upheld this argument, the spokesman of the Israeli embassy accused the judges of anti-Semitism. On 12 January 12, 2000, according to the Indian newspaper The Week, Indian intelligence officers arrested eleven Islamist preachers who were preparing to board a flight to Bangladesh at Calcutta airport. They were suspected of belonging to Al-Qaeda and wanting to hijack the plane. They presented themselves as Afghans who had stayed in Iran before spending two months in India to preach Islam. But it was found that they all had Israeli passports. The Indian intelligence officer told The Week that Tel Aviv “exerted considerable pressure” on Delhi to secure their release. On 12 October 12, 2000, in the final weeks of Clinton’s term of office, the USS Cole, en route to the Persian Gulf, was ordered by its homeport of Norfolk to refuel in the port of Aden in Yemen, an unusual procedure since these destroyers are generally supplied by a Navy tanker at sea. The captain of the ship expressed his surprise and concern: the USS Cole had recently filled up at the entrance of the Suez Canal, and Yemen is a hostile area. The USS Cole was executing docking maneuvers when she was approached by a dinghy apparently for the removal of garbage, which exploded against the hull, killing 17 sailors and wounding 50. The two “suicide bombers” driving the boat also perished in this “suicide”. The attack was immediately attributed to Al-Qaeda, although bin Laden denied responsibility and the Taliban denied that their “host” could have been involved. The accusation gave the United States a pretext to force the Yemeni President Ali Abdullah Saleh to cooperate in the fight against anti-imperialist Islamism, closing for starters three paramilitary camps on its territory. On top of that, a few weeks before the elections, the attack was the October Surprise that brought Bush to power. John O’Neill was in charge of the investigation. A twenty year veteran of the FBI, and experienced specialist in counter-terrorism, he had investigated the bombing at the WTC in 1993. His team came to suspect that Israel had fired a missile from a submarine: the hole was indeed indicative of a penetrating charge and inexplicable by the explosion of one dinghy. The suspicions were shared by President Saleh, who spoke in an interview with Newsweek, of the possibility that the attack was due to Israel, “trying to spoil the US-Yemeni relationship .” O’Neill and his team suffered the hostility of U.S. Ambassador Barbara Bodine. They were kept from diving in order to inspect the damage. Finally, taking advantage of their return to New York for Thanksgiving, Bodine refused them re-entry to Yemen. The crew of the Cole were put under a gag order forbidding then to talk about the attack to anyone other than the Naval Criminal Investigative Service (NCIS). In July 2001, O’Neill resigned from the FBI. He was soon after offered a position as head of security at the WTC starting on September 11, 2001. His body was found in the rubble of the WTC after he had disappeared for two days. As for Barbara Bodine, in 2003 she joined the corrupt team of the Coalition Provisional Authority (CPA) in Baghdad. Where does the list of Zionist-designed fake Islamic terrorism end? The “New York Times” and other newspapers reported that on September 19, 2005, two agents of the British Special Forces (SAS) were arrested after forcing a road block in a car filled with weapons, ammunition, explosives and detonators which they drove disguised as Arabs. It is suspected that they were planning to commit violent attacks in the center of Basra during a religious event, to stir up conflict between Shiites and Sunnis. The same evening, a SAS unit freed the two agents by destroying the prison with a dozen tanks assisted by helicopters. Captain Masters, charged with the investigation of this embarrassing affair, died in Basra on October 15. In addition to the book by Hicham Hamza and Christopher Bollyn, more on this issue from: Justin Raimondo, The Terror Enigma: 9/11 and the Israeli Connection, iUniversal, 2003 as well as an article by Christopher Ketcham, “What Did Israel Know in Advance of the 9/11 Attacks?“, CounterPunch, 2007, vol. 14, p. 1-10). “Vehicle possibly related to New York terrorist attack. White, 2000 Chevrolet van with New Jersey registration with ’Urban Moving Systems’ sign on back seen at Liberty State Park, Jersey City, NJ, at the time of first impact of jetliner into World Trade Center. Three individuals with van were seen celebrating after initial impact and subsequent explosion” (Raimondo, The Terror Enigma, p. xi). “We are Israelis. We are not your problem. Your problems are our problems. The Palestinians are your problem.” (Hicham Hamza, Le Grand Tabou, ch. 2). “There are maps of the city in the car with certain places highlighted. It looked like they’re hooked in with this. It looked like they knew what was going to happen when they were at Liberty State Park” (Raimondo, The Terror Enigma, p. xi). “I was in tears. These guys were joking and that bothered me”(Raimondo, The Terror Enigma, p. 19 ); Hamza, Le Grand Tabou, ch. 2. “They smiled, they hugged each other and they appeared to ‘high five’ one another“; “the United States will take steps to stop terrorism in the world“; “Give us twenty years and we’ll take over your media and destroy your country“; “an individual in South America with authentic ties to Islamic militants in the middle east“; “The vehicule was also searched by a trained bomb-sniffing dog which yielded a positive result for the presence of explosive traces” (Hamza, Le Grand Tabou, ch. 2). “… that the FBI no longer has any investigative interests in the detainees and they should proceed with the appropriate immigration proceedings” (Hamza, Le Grand Tabou, ch. 2). “Yes, we have a white van, 2 or 3 guys in there, they look like Palestinians and going around a building. […] I see the guy by Newark Airport mixing some junk and he has those sheikh uniforms. […] He’s dressed like an Arab” (Bollyn, Solving 9-11, p. 278-80). “In the past six weeks, employees in federal office buildings located throughout the United States have reported suspicious activities connected with individuals representing themselves as foreign students selling or delivering artwork.” “These individuals have also gone to the private residences of senior federal officials under the guise of selling art.” Drug Enforcement Administration Report. “The nature of the individuals’ conducts […] leads us to believe the incidents may well be an organized intelligence gathering activity” (Raimondo, The Terror Enigma, p. x). “acknowledged he could blow up buildings, bridges, cars, and anything else that he needed to” (Bollyn, Solving 9/11, p. 159). “The Hollywood, Florida, area seems to be a central point for these individuals” (Raimondo, The Terror Enigma, p. 3). David Ray Griffin, 9/11 Contradictions, Arris Books, 2008, p. 142-156, citing the Daily Mail, the Boston Herald, the San Francisco Chronicle and The Wall Street Journal. “Like an act of God, we moved,” (USA Today, 17 septembre 2001). “Evidence that there were foreign governments involved in facilitating the activities of at least some of the terrorists in the United States” (Raimondo, The Terror Enigma, p. 64). “The threat of civil unrest against the monarchy, led by al Qaeda” (“Saudi Arabia : Friend or Foe?,” The Daily Beast, 11 July 2011). “Contrary to Chomsky’s theories, the United States has no interest to support Israel”, by Jeffrey Blankfort, Voltaire Network, 28 September 2006. “Of course it was Iraq’s energy resources. It’s not even a question”(Stephen Sniegoski, The Transparent Cabal : The Neoconservative Agenda, War in the Middle East, and the National Interest of Israel, Enigma Edition, 2008, p. 333). “‘Big Oil’ not only did not promote the invasion, but has failed to secure a single oil field, despite the presence of 160,000 US troops, 127,000 Pentagon/State Department paid mercenaries and a corrupt puppet régime” (James Petras, Zionism, Militarism and the Decline of US Power, Clarity Press, 2008, p. 18). “Kennedy, the Lobby and the Bomb”, by Laurent Guyénot, Translation Gaia Edwards, Voltaire Network, 2 May 2013. Gordon Thomas, Gideon’s Spies: The Secret History of the Mossad, Griffin; New Ed edition (23 Feb 2007). “An act of catastrophic terrorism that killed thousands or tens of thousands of people and/or disrupted the necessities of life for hundreds of thousands, or even millions, would be a watershed event in America’s history. It could involve loss of life and property unprecedented for peacetime and undermine Americans’ fundamental sense of security within their own borders in a manner akin to the 1949 Soviet atomic bomb test, or perhaps even worse. […] Like Pearl Harbor, the event would divide our past and future into a before and after. The United States might respond with draconian measures scaling back civil liberties, allowing wider surveillance of citizens, detention of suspects and use of deadly force” (Griffin, 9/11 Contradictions, p. 295-6). “We Are Still Searching” (The Daily Beast, December 17, 2007. I don’t think Mossad is all that cunning. They are animals and they are disgusting, but cunning? I don’t see them as all that smart. However, I do see the, “israeli govt”, and jewish lobbies as cunning, evil, maniacal, etc.., and as they have placed themselves into the position of running the US government, Mossad did not need to be cunning in their attack(s) on the USA. When people talk about it being an inside-job, with or without Mossad, I think they aren’t considering the fact that anything our Congress and White-house do is based on what, “israel”, tells them to do (or pays them to do.) The average politician is in there because he lives for two things; money and prestige (I would say, power, but these fools give their power up to Tel Aviv.) So, though we may see American government fingerprints on whatever weapons destroyed the towers and other WTC buildings, and whatever it was that happened to the Pentagon, rest assured there were, “israeli”, hands guiding them. I suppose this can make it a sort of an inside job. It was most certainly conceived of and planned by the lunatic-state. Amd they are inside our government, absolutely. The only non-jews who may have had involvement were the typical Shabbos Goyim. This is how America is run.